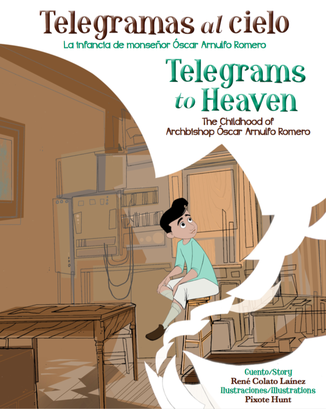 I am so excited to receive a Campoy-Ada Honor Award for my book Telegrams to Heaven: The Childhood of Archbishop Óscar Arnulfo Romero/ Telegramas al cielo: La infancia de monseñor Óscar Arnulfo Romero in the Biographies for Children category. A reception will follow from noon to 2:00pm. I will be signing copies of my latest bilingual book My Shoes and I: Crossing Three Borders/ Mis zapatos y yo: Cruzando tres fronteras. 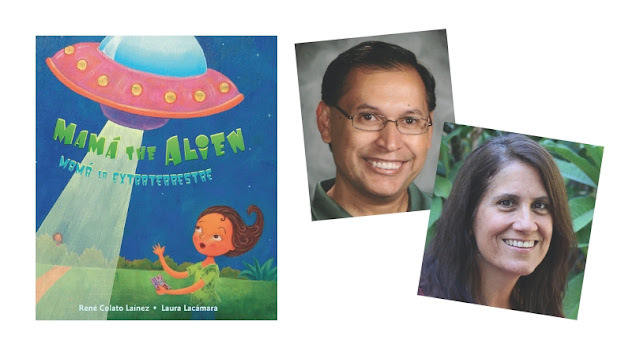 Join author René Colato Laínez and illustrator Laura Lacámara who will be signing copies of their award-winning picture book about immigration, Mamá the Alien/ Mamá la extraterrestre, published by Lee & Low Books. When Mamá’s purse falls on the floor, Sofia gets a peek at Mamá’s old Resident Alien card and comes to the conclusion that Mamá might be an alien from outer space. Sofia heads to the library to learn more about aliens. Some are small and some are tall. Some have four fingers on each hand and some have large, round eyes. Their skin can be gray or blue or green. But Mamá looks like a human mother! Could she really be an alien? 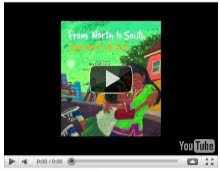 Filled with imagination and humor, this book is a sweet and timely celebration of family, no matter where that family comes from. 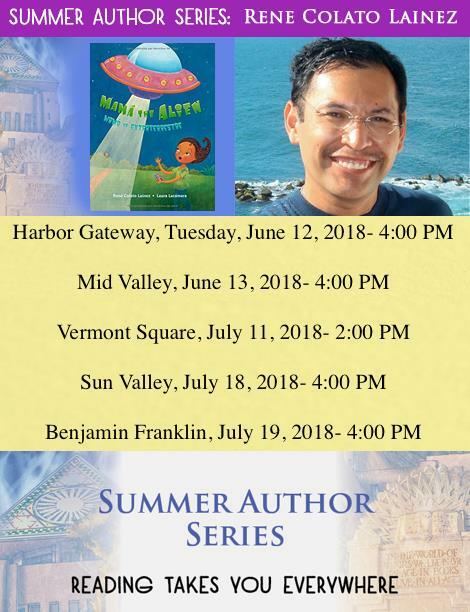 This summer, I will be part of the Los Angeles Public Library Summer Author Series. Cool off this summer by meeting and connecting with authors at your library! Refreshments will be provided and lucky winners will also be receiving a free copy of the author’s book. Come out and enjoy the fun! 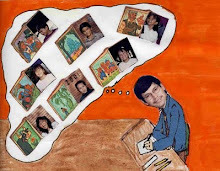 ¡Refréscate este verano conociendo y conectándote con autores en tu biblioteca! 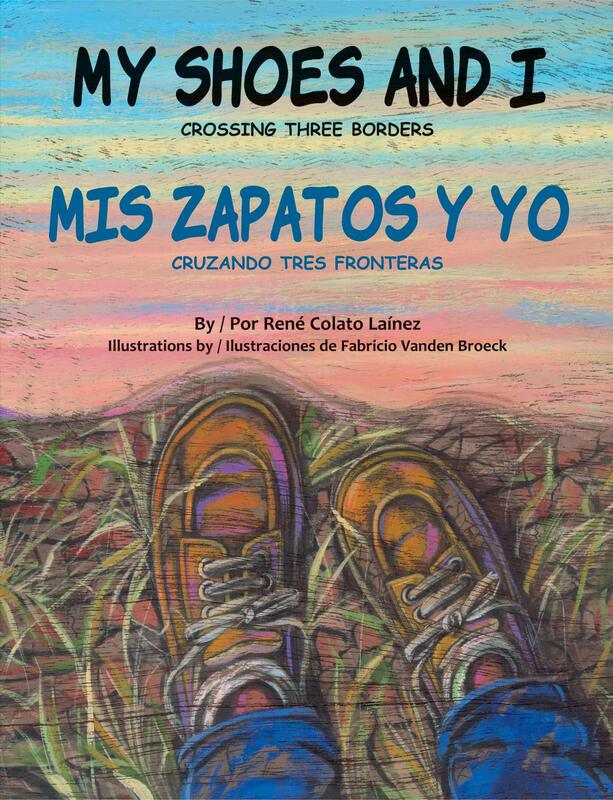 Los participantes tendrán la oportunidad de recibir un libro gratuito. También se proporcionarán refrigerios. 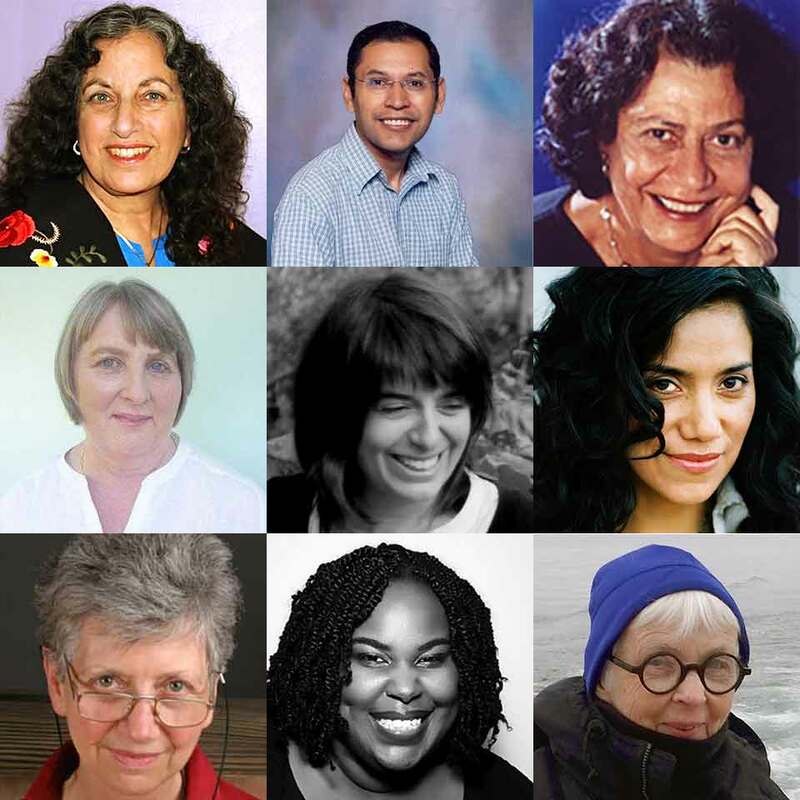 You can meet the following authors and illustrators: Antonio Sacre, Laura Lacámara, René Colato Laínez, José Lozano, José Pimienta, Lilliam Rivera, Ariana Stein, Patty Rodriguez, Molly Ostertag, Chris Robertson, Tao Nyeu, Abdi Nazemian, LeUyen Pham, Maurene Goo, Kathryn Hewitt, Nilah Magruder, Andrea Loney, Susan Bernardo, Courtenay Fletcher, Eren Unten, Cecil Castellucci, Brandy Colbert, Sara Saedi, Mary McCoy, Aditi Khorana, Robin Benway, Tillie Walden, Erica Silverman, Ashlyn Anstee and Katherine Kottaras.